Where traditional dentistry focuses on oral hygiene, cosmetic dentistry is an area of dental specialization – sometimes referred to as Prosthodontics – that specifically pertains to the appearance of the teeth, gums, and smile. 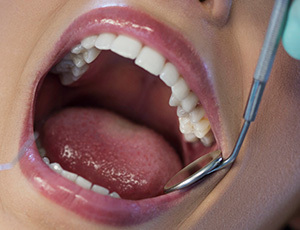 At Premier Dental Care, we often refer to cosmetic dentistry as smile enhancement. Cosmetic dentistry has evolved over the past few decades into a highly-sought and thoroughly rewarding area of specialty. Our knowledge of porcelain veneers, inlays, onlays, crowns, bridges, dental implants, and teeth whitening has grown to a point where there are very few smile-impacting issues that cannot be easily and painlessly corrected. A healthy, beautiful smile does quite a bit to enhance our outward appearance and allow us to speak, laugh, and engage others with complete confidence. For those who are troubled by the appearance of their natural smile, cosmetic dentistry can have a dramatic effect on their self-esteem. If you or one of your family members would benefit from smile enhancement treatments and cosmetic dentistry, feel free to ask Dr. Bakhtyari or one of our hygienists about treatment offerings during your next consultation – or call today for an appointment! At Premier Dental Care, we enjoy sharing the positive benefits of orthodontic treatment with our patients. Not only does this type of dentistry improve the cosmetic value of your smile, but it can improve oral function, hygiene, and health as well. Our practice offers traditional braces and Invisalign here in Oak Hill. Porcelain veneers are high-quality and extremely thin dental restorations that are designed to cover the visible surfaces of your smile. This cosmetic service is an excellent way to create comprehensive smile improvements over just a few appointments. 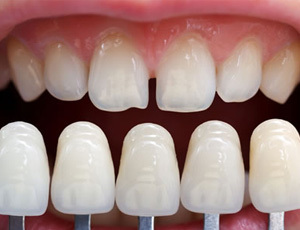 Plus, the porcelain structure of veneers is highly resistant to staining, even more so than your natural tooth enamel. Lumineers are an alternative type of veneer that some patients may prefer over the traditional model. Porcelain veneers are highly effective at elevating your smile’s aesthetic value, but they do require some of your tooth enamel to be removed to make room. Therefore, they are essentially permanent. Lumineers are even thinner – only about the width of a contact lens – and they can provide similar gorgeous effects while still remaining reversible. Dr. Bakhtyari would be happy to review both options in greater detail with you during a cosmetic consultation. We want you to feel fully confident about your personalized smile makeover. 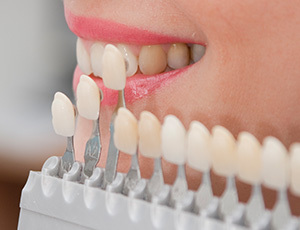 When you’re in need of a custom-made restoration to correct a damaged or weakened tooth, you may be concerned about losing your smile’s aesthetic value. At Premier Dental Care, Dr. Bakhtyari is happy to offer metal-free restorative materials that are beautiful matches for your natural tooth enamel. Your new crown, inlay, or onlay will function well alongside other teeth, feel comfortable within the mouth, and help patients maintain a look they feel confident about. If you’ve recently chipped a tooth or noticed a small oral stain, direct bonding is the most convenient way to correct the flaw beautifully and quickly. In most cases, Dr. Bakhtyari will be able to complete this service in just one appointment. He will apply tooth-colored composite resin to the affected area and sculpt it into a lifelike addition. These results should last for several years, as long as you care for them with diligent oral hygiene and regular checkups here in Oak Hill. 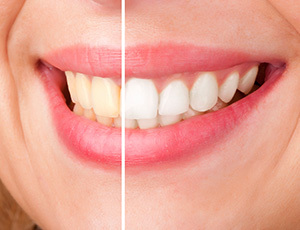 Are you unhappy with your smile’s appearance because of dull enamel or noticeable stains? An Opalescence take-home teeth whitening kit from our practice can help it shine brightly again. You’ll be provided with custom oral trays and powerful bleaching gel that can improve the shade by several degrees. This process should only take a few weeks of consistent use in the comfort of your home. If an excessive or uneven gum line is causing your smile to not look its best, we can perform aesthetic gum recontouring to correct the issue. During this procedure, our team will precisely and comfortably sculpt the soft tissue in order to fix any symmetrical concerns and reveal more of your beautiful dental structure. We may also recommend this procedure for restorative purposes, such as if we need to remove tissue to successfully rebuild certain teeth.